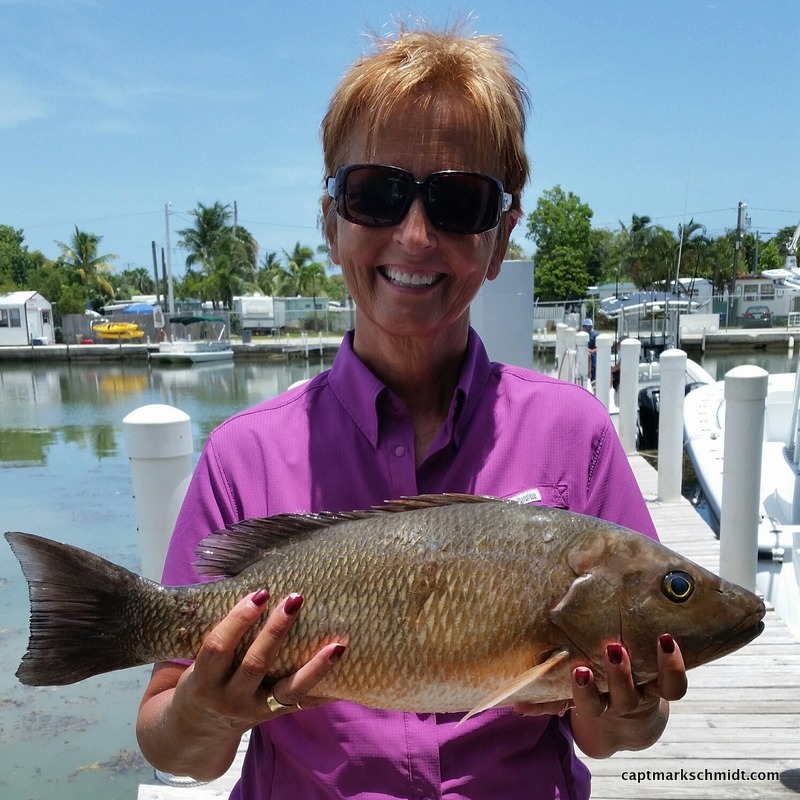 The mangrove snapper are officially doing there thing on the reef off of Key West. Every year from late June thru August these fish migrate to various spots on the reef to spawn. To find out where these fish are congregating just look for the fleet of both commercial and recreational boats fishing for them. To find a spot of your own go to the reef and look from 35ft-60ft traversing the area until you find concentrated marks of fish on your sonar. It may take some trial and error but persistence will pay off. Ask at local bait and tackle shops for likely areas to start looking. Below are Loran and Carmen from the great state of Idaho with some of the fish we caught while working the mangrove snapper spawn. 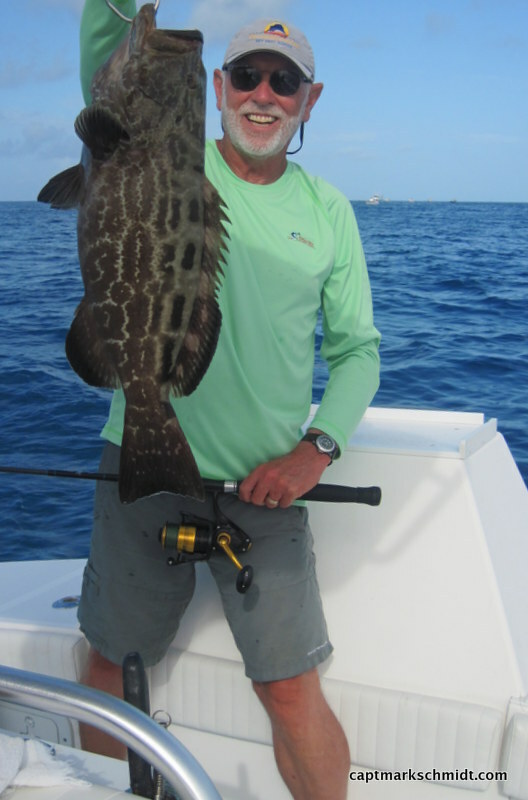 Loran has a beautiful black grouper and Carmen caught a big yellowjack and one of the bigger mangrove snapper we caught. 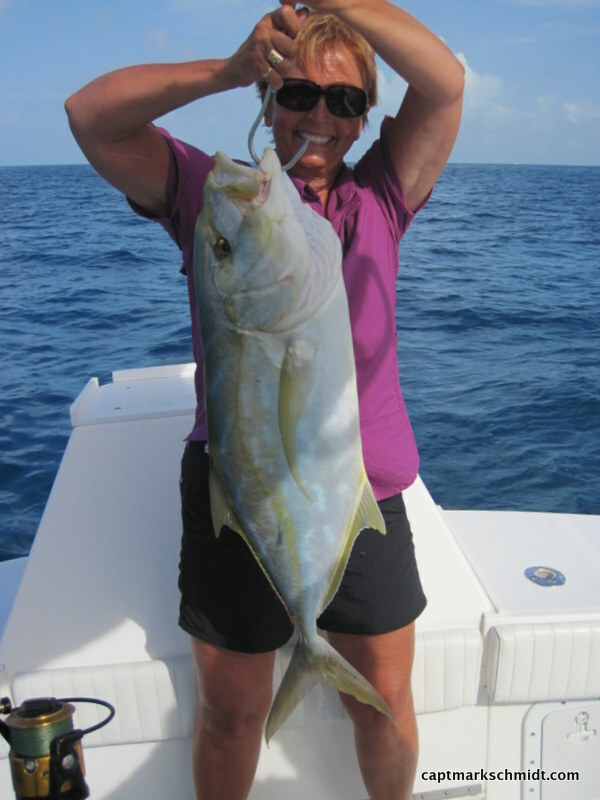 Great fish…tasty too! See you in two days!